Home Blogs My Right Word Is Sheikh Jarrah Actually the Biblical Town of Nob? Is Sheikh Jarrah Actually the Biblical Town of Nob? A Hebrew University professor suggests that the east Jerusalem neighborhood of Sheik Jarrah is actually the Biblical town of Nob, where David fled from Saul. As I have published before, the campaign of solidarity with the Arab residents of Sheikh Jarrah (has it fizzled out?) is one big cheat on Jewish history, Jewish property rights on the one hand, while, on the other, a cover-up for Arab ethnic cleansing and theft of identity. The article discusses the possibility of the identification of a conjectured residency location with biblical Nob and situating it in the higher areas of the American Colony or of the Sheikh Jarrah neighborhood. Jerusalem was in sight from Nob: ‘This very day shall he halt at Nob, waving his hand at the mount of the daughter of Zion, the hill of Jerusalem’ (Isa. 10:28–32)…In the days of the Restoration Period, Nob is mentioned as one of the localities in the region of Benjamin (Neh. 11:32), situated south of Gibªeah (Tell el-Ful), near ªAnatot (identified as modern ªAnata) and ªAnaniah (identified with the village of el-ªAzzariyeh). 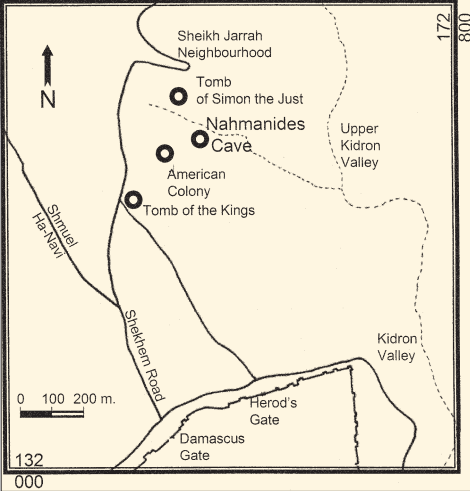 The two possible locations suggested here — the area of the American Colony or the Sheikh Jarra¢ neighbourhood — are both topographically high, thus providing a view of Jerusalem, as described in Isaiah. So, another case of national identity theft by Arabs and their supporters.